I recently saw Latency Number Every Programmer Should Know and was having trouble getting my head around the scale, so I made this visualization to help me out. I converted latency times to their equivalent light distances (how far light travels in that much time) and plotted those distances on a map to get a sense of the latency numbers in relation to each other. The smallest few latency times are included here with their respective comparisons. My company runs "speed interviewing" events over video chat to connect developers and companies for face-to-face conversations. If you're interested in latency and performance, we're hosting a web-event Tuesday and would love to have you participate: Hirelite.com. It's hard to determine if a tech job board is worth watching (if you're a job seeker) or worth posting to (if you're hiring), so I made a quick visual comparison of job boards in New York City. Cost - the cost of a single post. The life time of the post varies per site. Headhunter posts - the number of posts originating from recruitment agencies as opposed to from companies that are hiring. Typical company sizes - an estimate of the typical size of companies posting to a job board based on the company name, funding stage, salary/equity balance, and other information contained in the post. 20 most frequent words - the words most often used in job posts at a particular job board. Technical note: I used Lucene (and the StandardAnalyzer) to help with text processing and frequency calculations, so very common words (a, the, ...) are excluded. Additionally, some special characters were omitted from words (see observations for effects). First, I noticed that "c" appeared much more than I expected. Companies can't be requesting C skills enough to put it in the 20 most frequent words used Craigslist and Stack Overflow! Well... maybe Stack Overflow. It turns out, the tool I used process the text (Lucene) cut out special characters, normalizing C++, C#, Objective-C, and C all to C, thus inflating the frequency of "c". 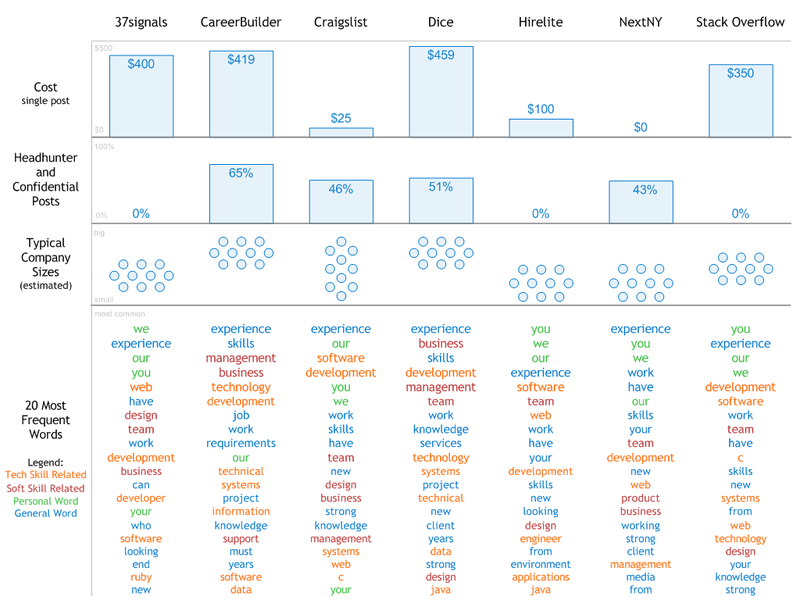 The words "you", "we", and "our" appear very high on 37signals, Craigslist, Hirelite, NextNY, and Stack Overflow, but are much less emphasized on CareerBuilder and Dice. Are the job posts less personal or intimate? Does this matter? From looking at the posts in more detail, it seems to correlate with a greater focus on more specific requirements in posts on CareerBuilder and Dice. Note that the word "years" as in "3 years of Java experience" appear in the top 20 most frequent words of CareerBuilder and Dice; however, they do appear in the top 50 most frequent words of all the job boards surveyed. I highlighted words in top 20 most frequent word lists that I thought correlated to technical skills or softer skills to observe the relative importance of each, but I don't see any discernible pattern. Additionally, many of the meanings of these words depend highly on their context (requirements section vs responsibilities section vs about the company section). Initially, I thought that posts from larger companies correlated with a higher number of recruiter/confidential posts, but then I got to NextNY where many posts for positions at small to medium sized companies are recruiter/confidential posts. Maybe recruiter/confidential posts will appear in high numbers wherever they're allowed? Hirelite and Stack Overflow have policies against posts where the hiring company is not named, but I don't know of any explicit policy on 37signals (though they have no recruiter/confidential posts). Does anyone know if they have a policy about these posts? 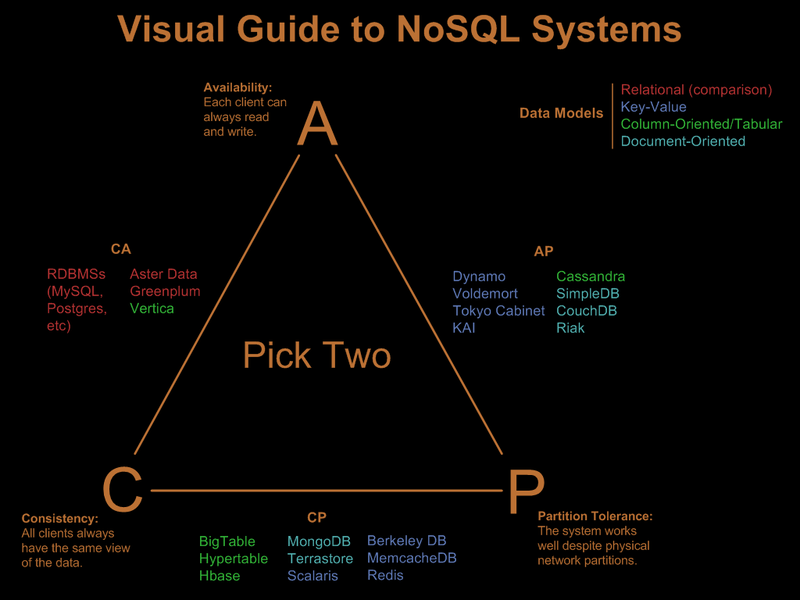 Finally, let me know what you see in the data or if you have other ideas of what to do with this type of data. I'm considering doing some kind of analysis of how typical job post language compares to typical English - I predict probably an inordinate use of "pirate" and "ninja".